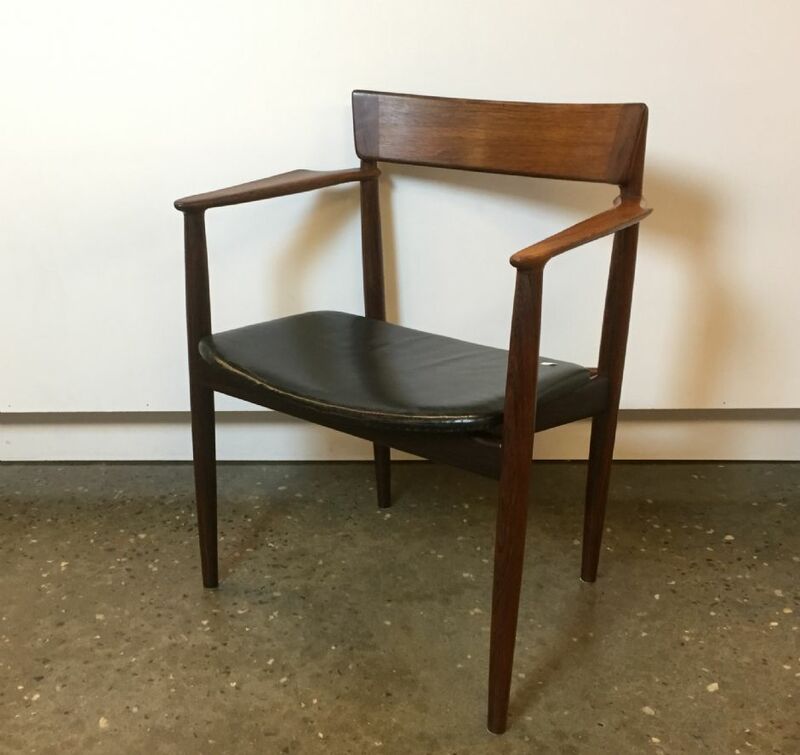 Armchair with teak frame and leather upholstry. Oak frame, original leather upholstery. Design Ingmar Relling for Westnofa, Model Siesta. Stained beech frame with wool upholstery. 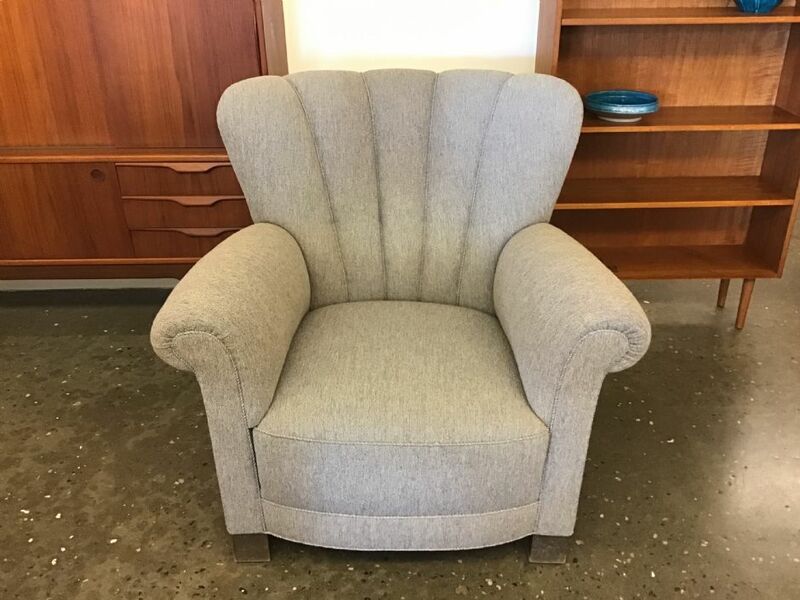 Easy chairs, oak. Set of 2 + footstool. New upholstery in black wool. Henry Rosengreen Hansen for Bdr. Tromborg. Original leather upholstery. Excellent condition. Original dark brown leather, steel frame. Solid oiled oak frame. Original spring cushions. 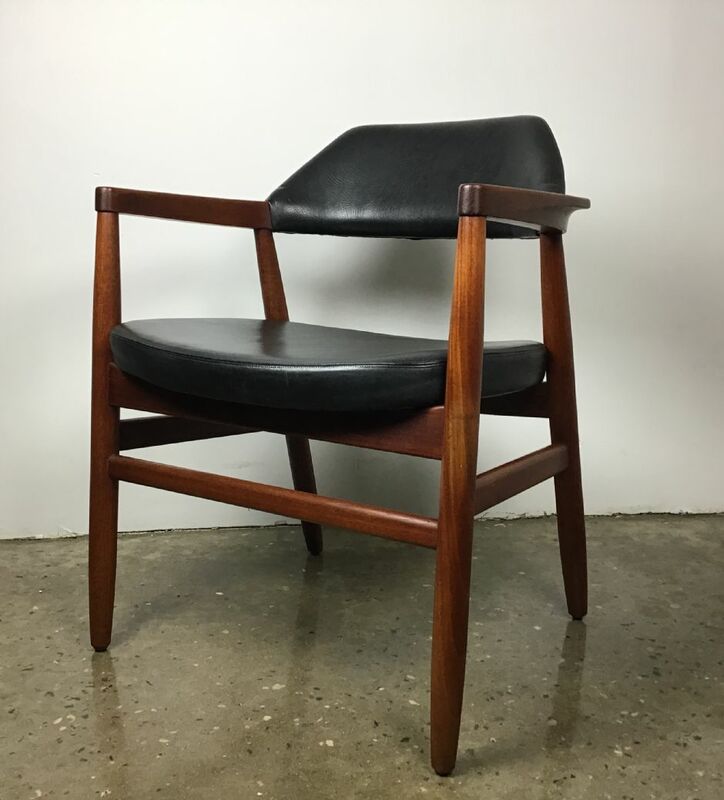 Solid teak frame, wool upholstry.